HomeXFEL is Online: Free Electron Laser in the World is Open for Business! For twenty years, DESY (the German synchrotron administration) has been working on a bigger and better X-ray laser. Such an implementation would enhance the imaging and analysis of subjects from a wide range of scientific research topics, from viruses to exo-planets. The new laser, known as European XFEL, is based at the DESY research center in Hamburg, but extends nearly four kilometers along the ground until it reaches a campus in the Schleswig-Holstein town of Schenefeld. Scientists completing work that would benefit from the world’s strongest laser may be invited here to conduct their research using European X-FEL. DESY had started generating light through the massive array earlier in 2017, and formally opened the facility on the first of September this year. It’s official: the latest and greatest free electron laser is now online. How does X-ray free electron laser work? X-rays may seem an old-school method of analysis to some, especially those in the medical or nuclear imaging spheres. However, this form of light can still generate effective visualizations of many scientific and clinical phenomena. On the other hand, X-rays may need to be generated at ultra-short and intense bursts for their more impressive theoretical capabilities to be realized. These include detecting the structure and function of biomolecules at scales beyond the nanoscopic, and possibly even the picoscopic. X-rays are a form of radiation that is emitted by electrons at high energy levels. However, these rays need to be amplified considerably to give the intensity necessary to image at these advanced, cutting-edge scales. To do this, the electrons in question need to be maintained at high energy for a relatively long time. This is done by processing them through specially-constructed shafts, known as accelerators, which is achieved using magnets that line the interior of the accelerator. This combination of factors can offer high-resolution images of individual molecules, and can also be processed into ‘movies’ that show the behavior of these molecules over femtoseconds. Accelerators that form high-intensity, ultra-short X-rays need to be of great length to generate high-intensity X-rays that also pulse for fractions of a second. The one incorporated into European XFEL is 2.1km in length. The energized electrons pass from this into a second, X-ray-generating tunnel that is a tenth of the accelerator’s length. X-rays are produced here using magnets that line the interior of the accelerator and physically ‘bounce’ them along to produce radiation of an ultra-short wavelength that are also amplified at each ‘bounce’. The resulting X-rays can have a wavelength that is proportional to the length of a single atom; therefore, they can capture images at what is known as atomic resolution. This radiation is also generated at up to 27,000 pulses per second – which exceeds the former strongest laser on Earth by 200 pulses/second. It is also reportedly a billion times more intense than that emitted by the next best source of X-rays - which are synchrotons like the one found at Karlsruhe Institute of Technology in Germany. When the accelerator tube, magnetic amplifier and other components of the European XFEL is taken into account, the total length of its set-up is 3.4 kilometers in length. Needless to say, most of this length is located underground, although researchers can access its controls, experimental stations and other necessary tools for its use at the campus in Schenefeld. The European XFEL can also produce multiple light sources with different properties. These improvements in accelerator and amplification technology means that more time with the laser on and ‘firing’ (i.e. beam-time) will be available to each individual research project. Each project will be able to work using the European XFEL on-site for one to two weeks each. Prospective researchers will be able to apply for this time through an as-yet undisclosed process that will evaluate each project for applicability to the new free electron laser system and the expertise of the team in question. The European X-ray free electron laser (XFEL) was built to break new, unprecedented ground in a number of research areas by offering magnification and imaging at scales previously inaccessible to human observation via technological means. It may be possible to visualize the atomic structure of many types of matter, from novel materials to viral proteins, as never before. It can also be used to assess energy-harvesting and –converting systems at these levels, which may offer an improved understanding of how to develop and optimize the use of new and emerging fuel types. The European XFEL can also enhance spectroscopy, the imaging of quantum systems and femtosecond-long atomic processes (as mentioned above). Its research campus includes dedicated stations for all these functions. Most of these will be served by two separate ‘beamlines’ which amplify x-rays for about 210 meters, as above. They produce ‘hard’ X-rays of wavelengths measuring as little as 0.05nm to visualize individual atoms. There is also a third beamline that bounces the rays for 125m to produce ‘soft’ X-rays of 0.4nm to 4.7nm in wavelength. This radiation is more useful for spectroscopy or quantum imaging. The European XFEL was designed to exceed all other x-ray lasers on Earth to enhance X-ray spectroscopy, imaging and recording at atomic or nearly-atomic scales. X-ray imaging, mostly in the form of crystallography, represented the first steps in the study of molecular structure and function. Super-long accelerator and amplifiers (or their alternatives; cyclical synchrotrons that send sub-atomic particles around circular tubes at intense speeds to generate high-quality radiation-based images) have enabled x-rays to stay relevant as ultra-low wavelength, laser-like light sources that can detect and analyses matter at the finest resolutions known to humanity. European XFEL is in a position to admit researchers working at the bleeding edge in many relevant fields. 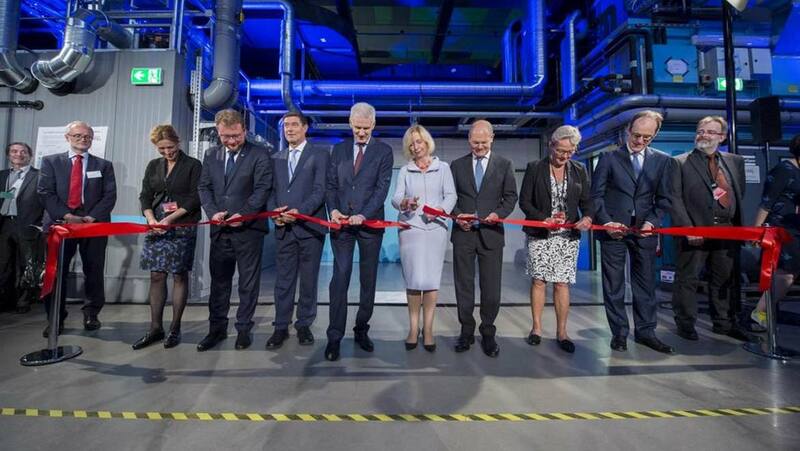 It is to be hoped that this new free electron laser will help maintain Europe’s position as a sponsor and leader in global science and technology.